Meet the most anticipated client for PostgreSQL developers! Devart always pursues better ways to meet the needs of our customers. 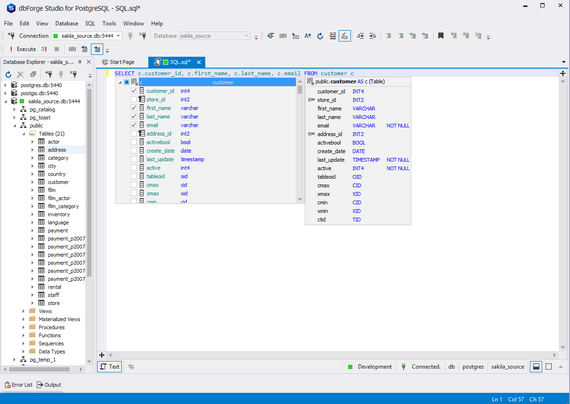 We have already developed such excellent tools as dbForge Studio for SQL Server and dbForge Studio for MySQL. Our IDEs are famous for their unified and intuitive user interface that resembles the Microsoft Visual Studio interface and maintains its similar standards. Therefore, many users do not have to learn again when switching between databases on different servers. 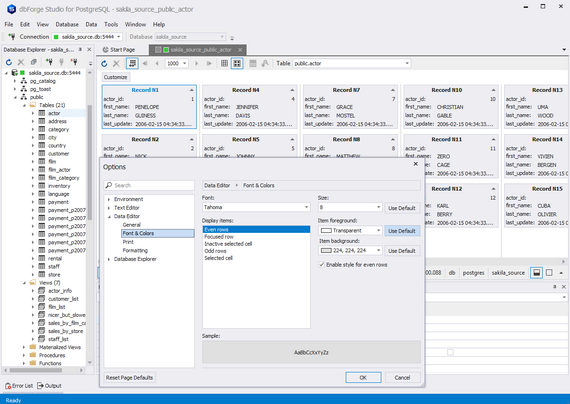 Now, we set a new goal – to create a new powerful IDE, dbForge Studio for PostgreSQL, for working with PostgreSQL databases that will make the development, management, and editing process enjoyable and easy. 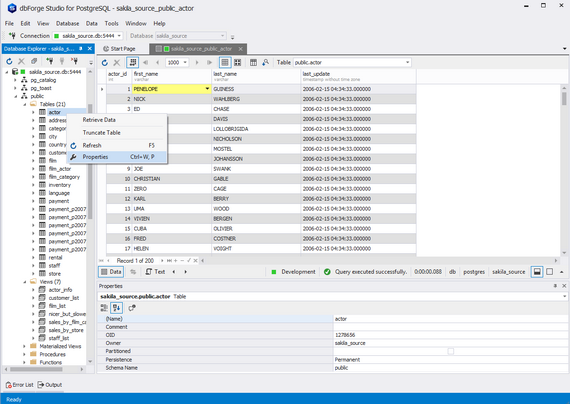 With word completion, parameter information, and list members, it is possible to save your time and enhance the code quality while writing SQL queries. Navigation through the database explorer allows users to find any object they are looking for quickly and with a couple of clicks in order to retrieve data or view information about objects. The functionality has a set of tools to simplify the process of editing PostgreSQL tables data and to satisfy your needs. You can edit data similar to Google Sheets and MS Excel or in the card view mode. Let us know when we can sign-up for betas! Waiting for too long! Love to have this one too. We will be implementing new features like in other our Studios gradually. dbForge products can be installed only on Windows family operating systems. Too much anticipation is not good. I hope you will release this product soon. When will you publish? what’s the ETA? How much time? any clue?